California based admirers of Marilyn Monroe are invited to participate in an exciting new photography project based on the eternal screen legend. “Marilyn and I” is the current venture of acclaimed photographer Yury Toroptsov. The focus of this unique project? Marilyn Monroe, a dress from her personal wardrobe, and you. Toroptsov is traveling the globe, specifically to meet with and interview fans of Marilyn Monroe, and take their photograph with the dress. The project will culminate with a traveling photography exhibit, and likely a coffee table book comprising photos taken by Toroptsov of fans with Marilyn’s dress. 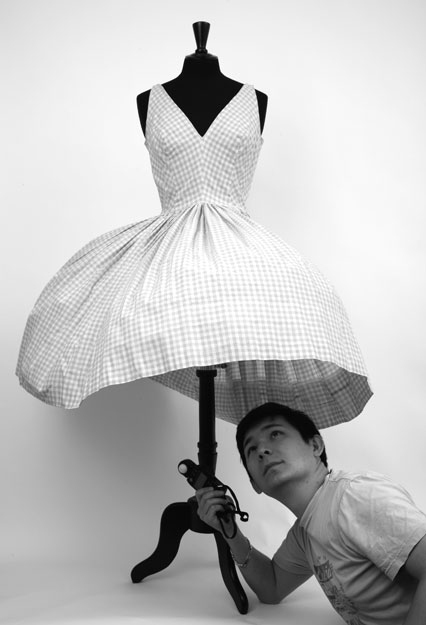 How It All Began: A friend of Toroptsov’s bought at an auction and lent to him an authentic summer dress from Marilyn’s personal wardrobe. 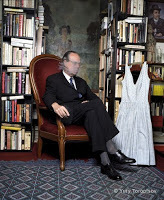 The dress with a strong evocative power became an essential element of his artistic project. 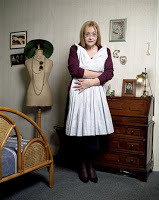 With the dress folded in his photographer’s backpack he has traveled from France where he lives to the US to meet men and women of all ages and all social categories at their homes and work places to record their stories. He invites his models to reflect on what Marilyn Monroe represents for them while he takes their photos. Toroptsov has already amassed a large collection of images, with models including famous and anonymous fans of Marilyn Monroe. 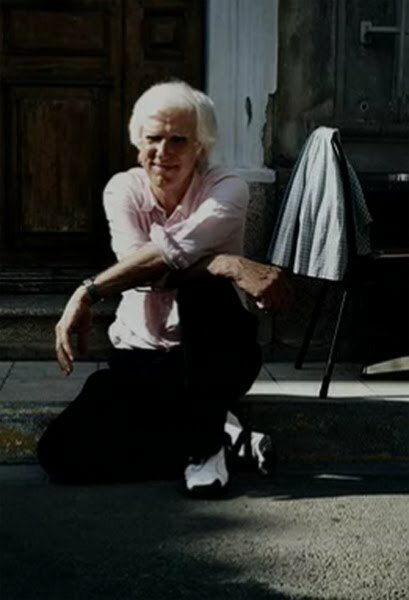 Above: Douglas Kirkland, a photographer who photographed Monroe in 1961. Above: Frederic Mitterrand, France’s Minister of Culture. Above: An anonymous fan and admirer. According to Yury, “Marilyn and I” is an exploration of the dimensions of a modern myth. To read more about Yury, visit his website. Yury’s professional biography can be read here. To see a striking video of the images Yury has taken of Monroe fans with Marilyn’s dress click here. Join me in participating in this exciting venture! Yury will be in Los Angeles, CA the week of July 12-18, and is hoping to meet with and photograph as many Marilyn Monroe fans as possible. If you are interested in meeting with Yury and being part of this project, please email him at yury@toroptsov.com. ← Marilyn Monroe Pink Gown from Gentlemen Prefer Blondes Sells at Auction for $310,000.00, But Was It The One? This is so interesting! Thanks for sharing! I really like your blog, it's so informative. Scott, I know I have thanked you already but I have to tell you I had so much fun with Yury during our photo shoot and the dress is fabulous, something I would wear today. Jacques is amazing as well and very generous. I am looking forward to the finished project as I am sure are you.